This entry was posted in Food Glorious Food and tagged chocolate biscuits, cookies, dunking, how to, tim tam slam, timtams by cityhippyfarmgirl. Bookmark the permalink. A tutorial I can follow. HA! OH yes. Best performed in jarmies. I wonder if this is an absolute Australianism? Reckon they slam Penguins in the UK? Love it! As an American, I didn’t know the joy of tim tams until I came over here. Now whenever I go back to the USA to visit everyone requests tim tams! 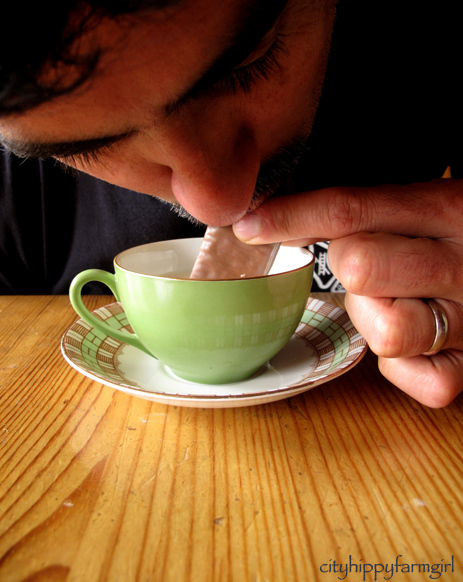 The only way to eat a TimTam! and, we get Tim Tam’s here! Yep, done that too. 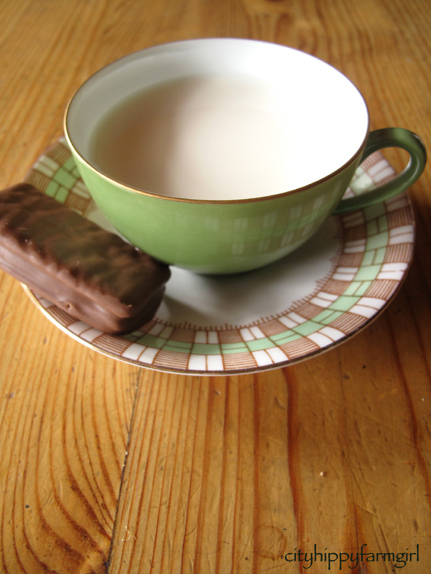 A tim tam is something that you can’t make home made…and I am glad. We can’t cook all the time. Best biscuits ever. 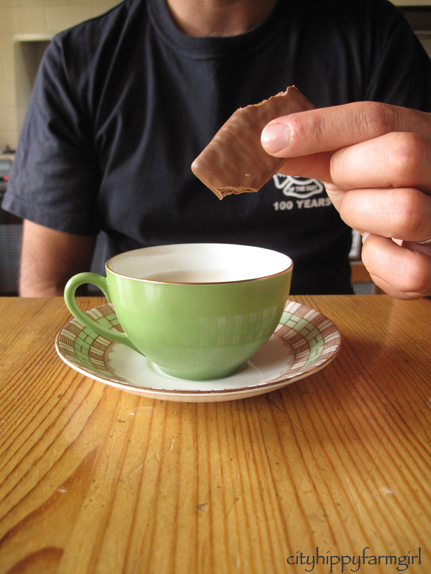 I do love the pairing of the tim tam slamming with dainty teacups. I think that’s a winning match and I shall endeavor to adopt it in future! There’ll be Tim tams on Sunday here. Wonder how they’ll go with caramel lattes? Great post, it made me smile. Oh yum. 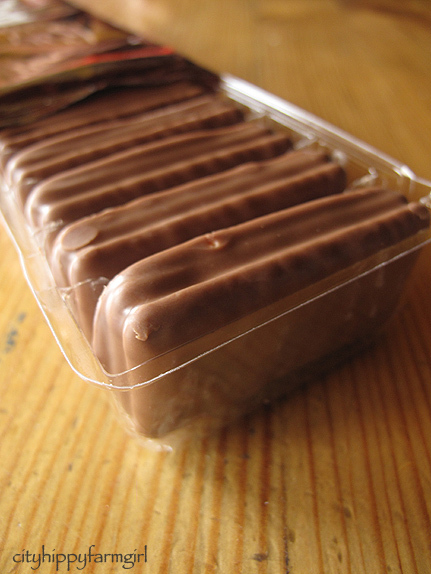 I could go for a Tim Tam right about now, but they’re not the easiest thing to find in the States. Thanks for the fun post! Just this week my son asked me to buy him some Tim tams so he could do the tt slam. Something is in the air. I never knew you could do this. Where have I been, lol??? Thank you! Hah! My niece brought back a whole case of TimTams and I’ve been handing them out with instructions- I will have to send them for your tutorial, Brydie!